We are passionate about our design collaborations and very proud of the results. This collaborative process enriches the final design and allows us to experiment and innovate in exciting ways. We work closely with in-house design and development teams at leading retailers to develop the best products for their consumers. 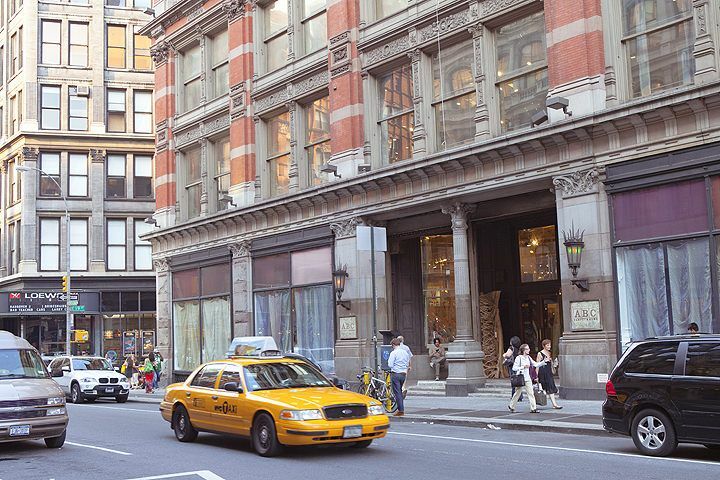 In the Winter 2015 we met with the Living and Dining Furniture buyers at New York’s luxury store ABC Carpet & Home. 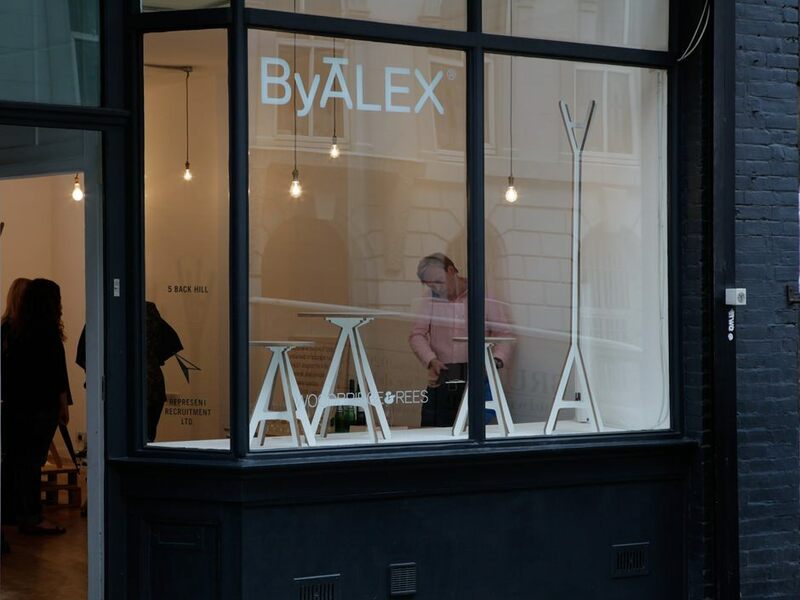 We have formed a collaboration with the retailer as our American stockist for various furniture pieces including the A Desk and A Stool. 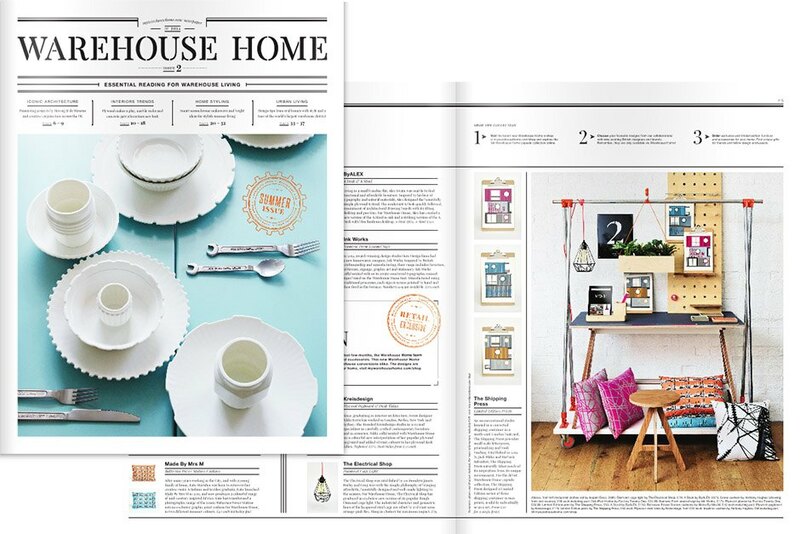 To coincide with the launch of the second edition of My Warehouse Home, founder and editor Sophie Bush approached us to create exclusive products for her capsule collection. We developed two new products; an Oak A Stool and an A Desk with a jean coloured Linoleum desktop – both conceived for warehouse living. To celebrate with John Lewis’ 150th anniversary, we developed a dining chair made from renewable materials. As John Lewis look to the future, we researched sustainable materials and discovered bamboo – as strong as traditional hardwoods but only takes six years to grow before harvesting for furniture. A molded Plywood seat and back rest add to the chair’s comfort and are upholstered in one of the planet’s most sustainable products: Linoleum, made from 93% natural materials. A chair for everyday and good for your neighbourhood. 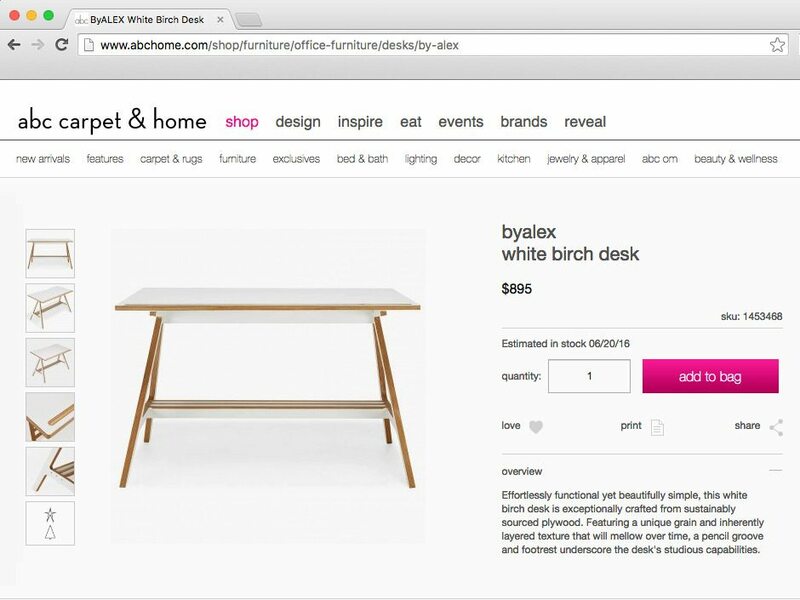 Building on our successful collaboration with John Lewis on the A Range, we worked with their ‘living and dining’ team to create a new desk for their 2014 collection. 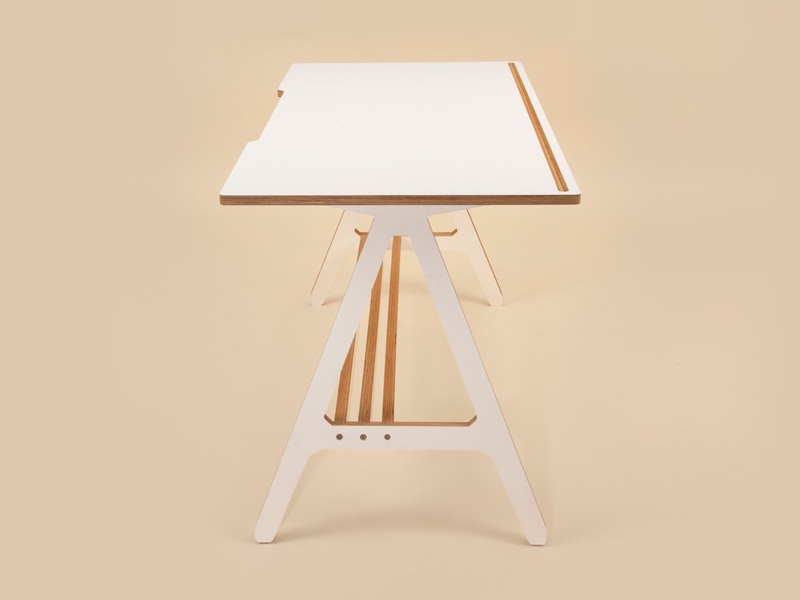 After extensive research into their customers’ requirements, we set about developing the A Desk. Designed with an ergonomic tilting top and footrest it is ideal for professionals who need a flexible working environment. 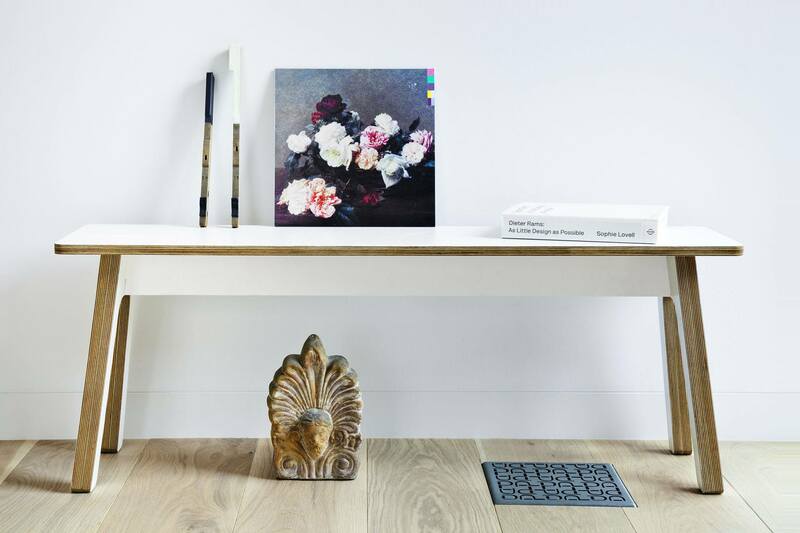 The desk is the perfect size for use in a home office at 1200 x 600mm. Kate Spade New York invited us to be part of the launch of their exciting new brand, Kate Spade Saturday, in spring 2013. A young, fun mix of fashion, accessories, and homewares, the Saturday collection is sold online and through dedicated stores in Japan and Brazil. 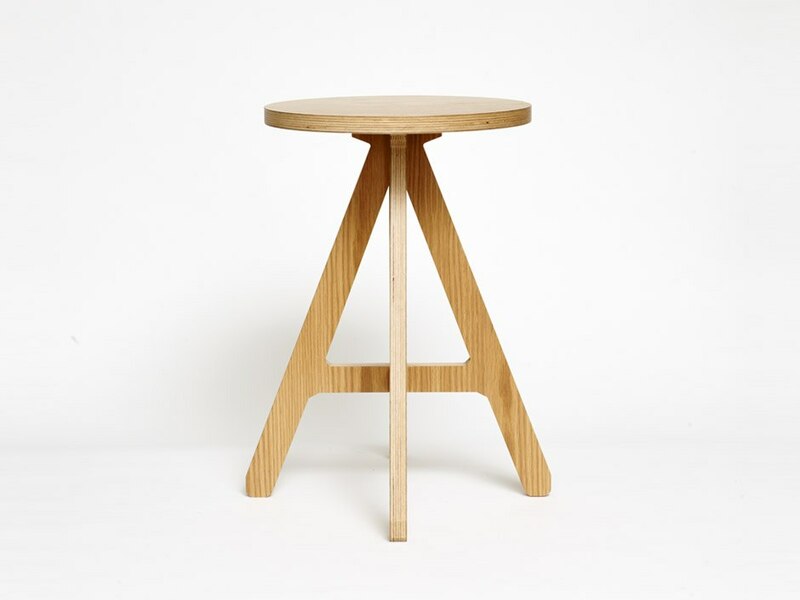 As well as stocking the A Stool, Kate Spade Saturday commissioned us to design two exclusive products tailored to their living and dining collection. We developed a bench and 4–6 seat dining table made from plywood, complementary to the A Range. 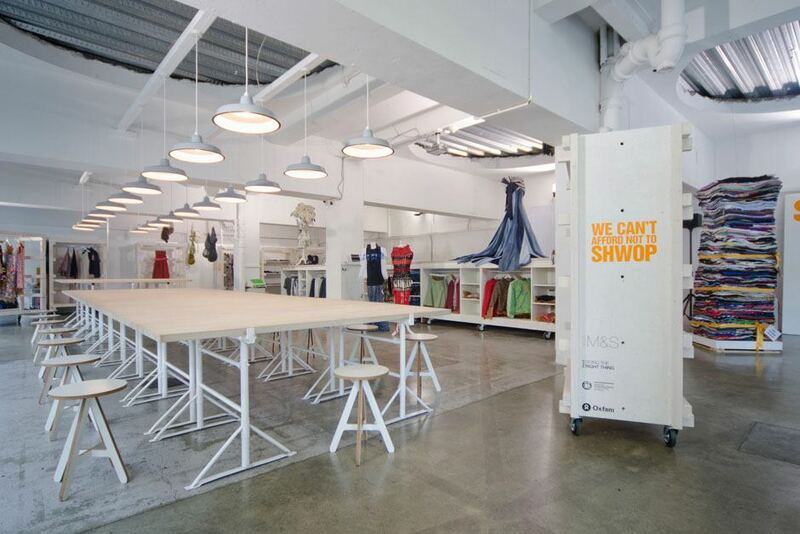 Fashion retailer M&S launched a temporary sustainable fashion workshop in London, to promote their new initiative Shwopping. 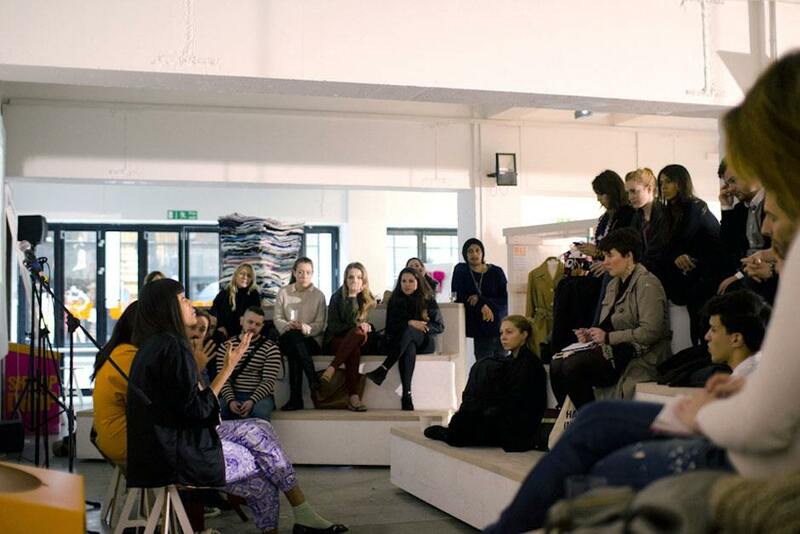 The Shwop Lab was curated by The London College of Fashion’s Centre for Sustainable Fashion. The project involved collaborations with leading UK fashion and design experts. Visitors were encouraged to donate old clothes, which Fashion students turned into newly designed garments. 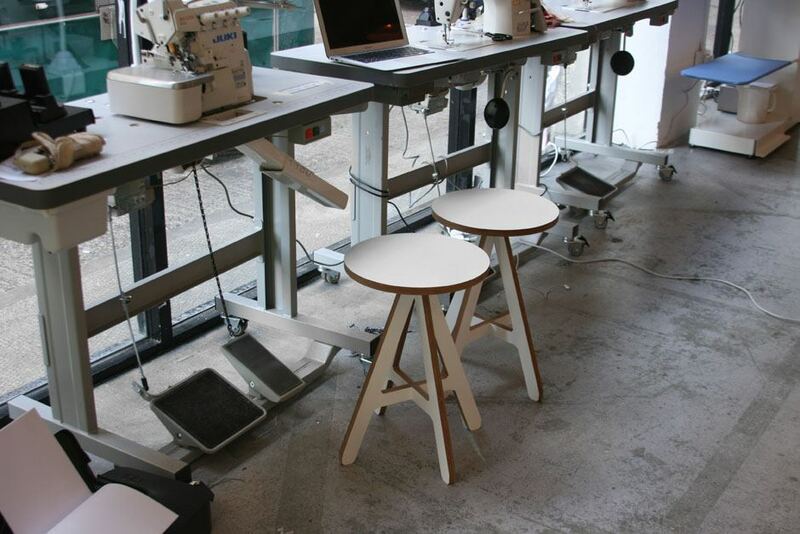 We were approached by the architect and design practice, Jump Studios to supply white A Stools for the project.